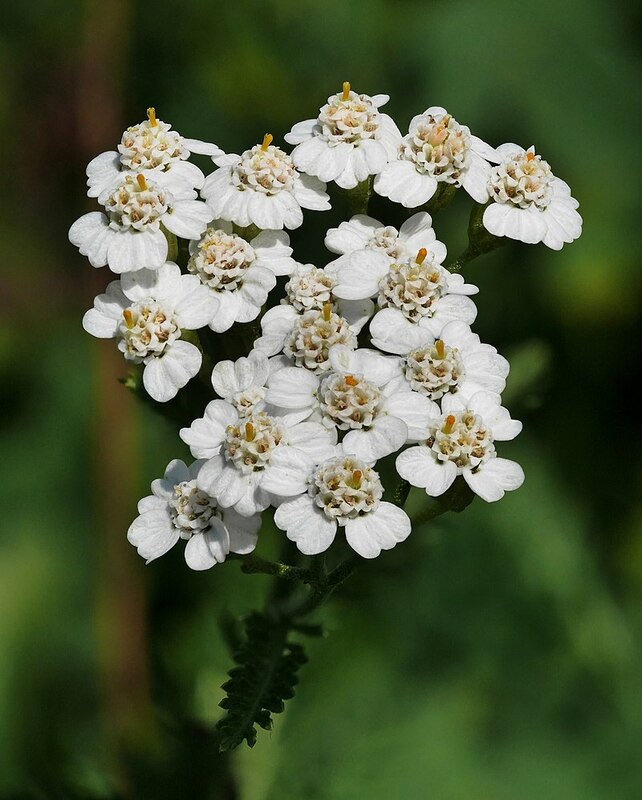 Achillea millefolium, commonly known as yarrow /ˈjæroʊ/ or common yarrow, is a flowering plant in the family Asteraceae. It is native to temperate regions of the Northern Hemisphere in Asia, Europe, and North America. It has been introduced as a feed for livestock in places like New Zealand and Australia. However, it is a weed in those places and sometimes also in its native regions. African violets are not really violets at all. Rather, they are a species within the genus Saintpaulia. They are native to Tanzania and adjacent southeastern Kenya and eastern tropical Africa. 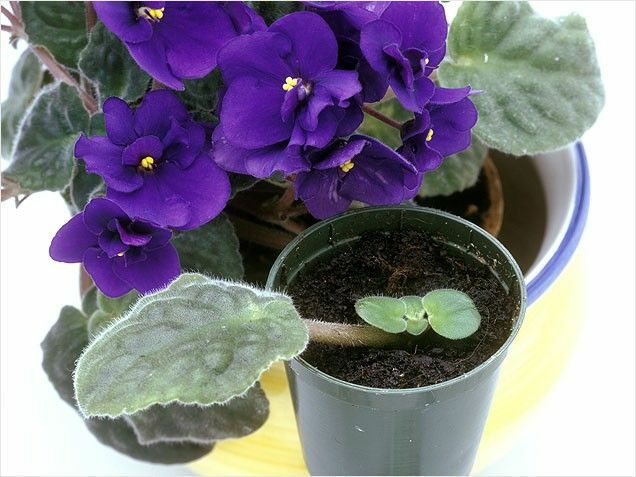 Typically the African violet is a common household indoor plant but can also be an outdoor plant in the right climate. African violets can be found in a wide range of colors, including white, blues, purples, and pinks. They can be easily propagated by putting a leaf cutting into dirt or water until two or more leaves sprout from the “mother” and can be potted separately. African violets have long been associated with mothers and motherhood. For this reason they have been a traditional gift to mothers in many cultures around the world. African violets are also associated with Easter and Valentine’s Day. Secret Meanings of African Violets: Mothers (mentioned above), Admiration, Delicate Love, Connections, Faithfulness, Modesty, Protection, Spirituality, and Virtue. Althaea is a genus of 6–12 species of perennial herbs native to Europe and western Asia. It includes Althea officinalis, also known as the marshmallow plant. They are found on the banks of rivers and in salt marshes, preferring moist, sandy soils. The stems grow to 1–2 m tall, andd flower in mid summer. The leaves are palmately lobed with 3–7 lobes. Althaea species are used as food plants by the larvae of some butterfly species. The traditional medicinal uses of the plant are reflected in the name of the genus, which comes from the Greek althainein, meaning “to heal”. The flowers and young leaves can be eaten, and are often added to salads or are boiled and fried. The roots and stem also secrete mucilage, which is used to soften the skin, and is used in cosmetic treatments. Secret Meanings of Althea : Consumed by love, Healing, Honesty, Persuasion, Purity, Protection, and Psychic Powers. Although not a true Alyssum, what we think of as sweet alyssum is actually Lobularia maritima; sometimes misnamed Alyssum maritimum. It is a cultivated annual in the U.S. and Canada. Although native to most of the Mediterranean areas, it can also be found in the Canary Islands, the Azores, and a few other regions. Its tiny flowers are normally white, but hybrids include pink and purple. The flowers attract certain flies whose larva are known to eat aphids, and bees are especially attracted to them. So Alyssum is a win-win for gardens. Sweet alyssum is a member of the mustard family and its flowers can be eaten or added to tea, but beware of the sharp taste. Secret Meanings of Alyssum: Anger management, Excellence beyond beauty, Modesty, Perfection, Protection, Worth beyond beauty.